"Once again the employees of Schweigkofler team up to construct something big. 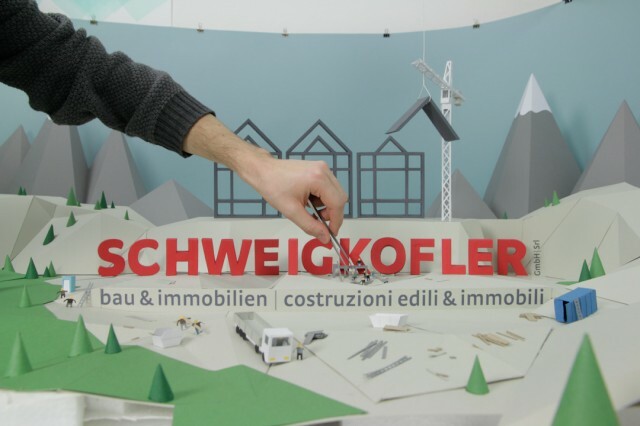 This time they build the logo of their South Tyrolean company in front of the magnificent scenery of the alps." 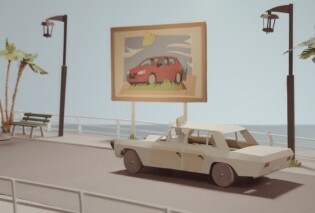 Schweigkofler is a nicely crafted short paper animation by Max Mörtl, a director and animator based in Hamburg who loves to create hand-crafted moving images using live action camera tricks and stop motion animation. 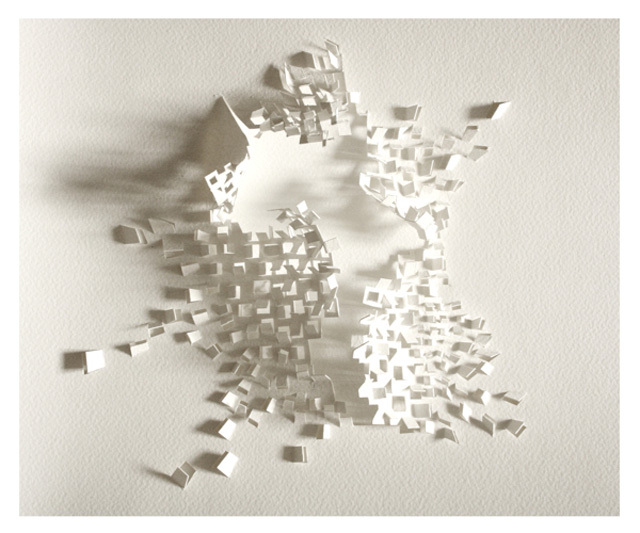 For his first solo show at The Loft Art Lower Parel in Mumbai in Feb 2012, indian paper artist Sachin Tekade deconstructed architecture and patterns created as a consequence of seismic activity. Flowing patterns and dynamic blasts characterize the works in this series. 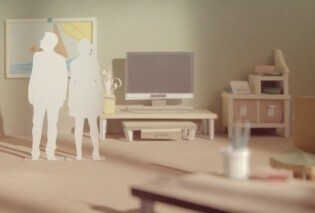 After their intricate paper animation video for Lavazza, Milan based creative studio Dadomani does it again. 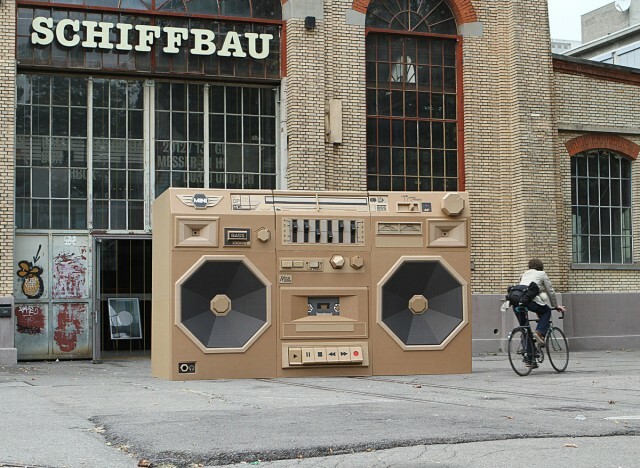 The studio created two commercials for Bank Audi. Both show really nice and detailed set designs and a perfect mix of digital and analog animation technics. Make sure to also take a look at all their making of images, that really shows how much effort they put into each of the videos. In 2009 Andersen’s Contemporary in Berlin presented Tomás Saraceno’s Cloudy House, an exhibition comprising a cloud installation, sculpture, video and photographs. 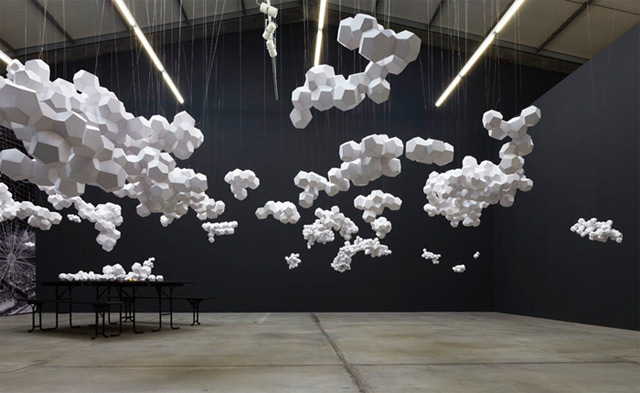 Saraceno suspended numerous geometric clouds made from white matte paper in various heights, some floating above the viewer’s head, others group together under the ceiling. 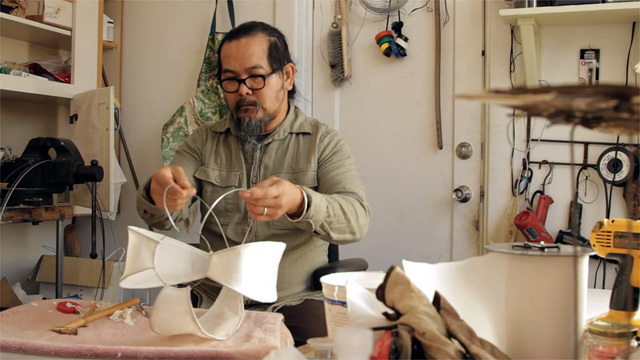 HiiH Lights (pronounced "Hi Hi") is two artists, Lâm Quảng and Kestrel Gates, who work together creating handmade paper lights and raising a family in Portland, OR. They collaborate as both artists and parents and discuss how all aspects of their lives are connected. Director Tristan Stoch recently finished an inspiring short video portrait of HiiH Lights that you shouldn't miss watching. 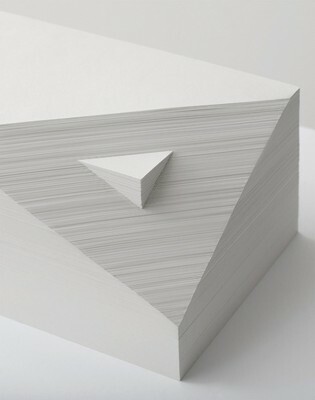 Beautiful minimalistic and geometric relief paper sculptures by Australian artist Bianca Chang. Super You is a fun customizable paper toy that Matthew Hawkins created for Kohl's and Children's Mercy's S.T.A.R. Power program. Matthew imagined Super You to encourages kids to imagine themselves as a superhero by creating their very own action figure. Then it's time to get up and get active with Super You! 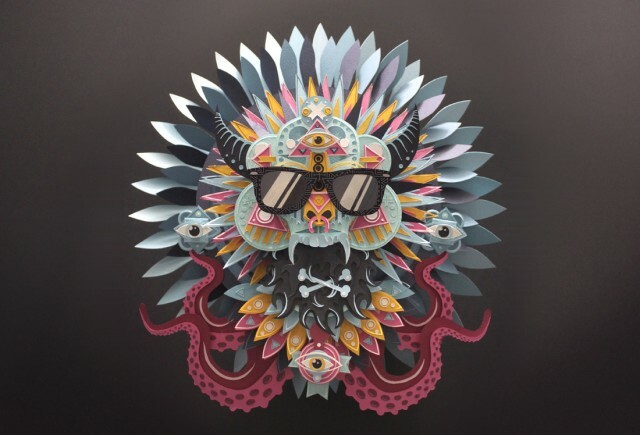 Kansas City based toy designer Matthew Hawkins loves to create whimsical, animated, colorful and beautiful papertoys. 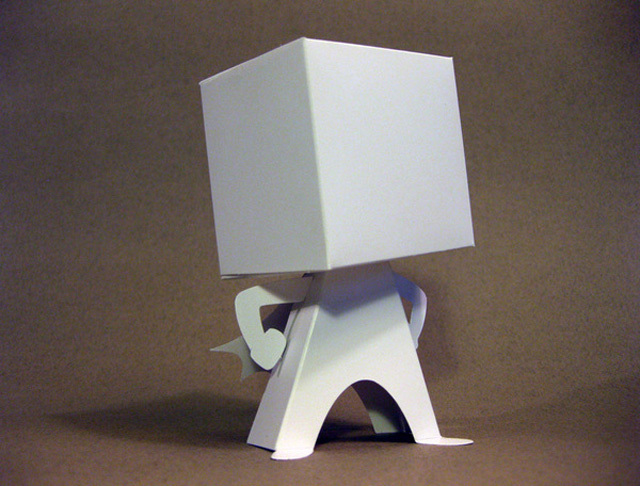 He runs the wonderful blog custompapertoys.com and showcases a beautiful collection of work on his behance profile. 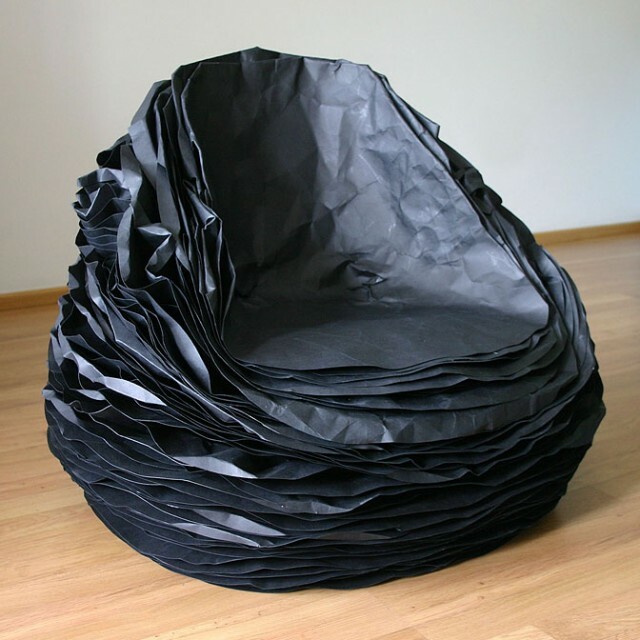 Designer Vadim Kibardin created the low paper armchair "Black Paper 37" out of 37 paper layers and 20 details of gofer cardboard. The armchair is a result of experiments with various materials and exploration of the co-existence of, ‘Chaos and Sequence’. 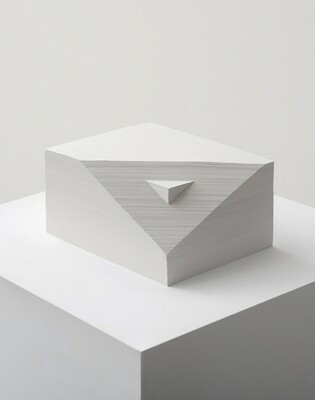 The fine folks from Shotopop just updated their site and added some really nice new work like this personal project called Vodoo. Everyone on the studio joined in for this exercise. They started off with a flat vector design and altered it until it was in a form where they could build it. Many hours of meticulous cutting and pasting later this gem was born. Also congrats on their new partner, the prolific Shan Jiang. Shan, trained by an Ancient Chinese Kung-fu Master, and the only true living Ninja, has been a legend in the illustration world for a while now, and he’ll now be working his magic as Director at the Studio near London Fields. We can't wait to see more!